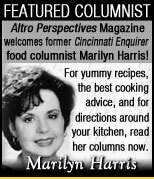 Home Articles & Columns Home Improvement Home Improvement Decor Tips From Local Gorgeous & Unique B & B's! conforming to a monotonous trend, why not think outside the box a bit? Do Not Waste Taste or Space, Not When It's This Lovely of a Place! Before you do anything to change your home decor – whether it’s just one room or the entire house, ask yourself (and others in your family, if it’s a group decision), what is it you wish to accomplish. Is it just to get a fresh look with a new splash of color on the walls, or is it to really throw out the old and tired, then start all over again? The next question you should ask yourself is this: Do I want to be like everyone else and just copy exactly what the fads are showcasing out of all the home decor magazines? Or do I want to maybe take a few risks and be a tad more creative? When it's all said, done and painted, we only live once, so why not take the road less traveled? If it’s a new wall color you’re considering, make sure the paint you purchase will complement your existing furnishings. Don’t rush out to your nearest home supply store and purchase a can of paint because it’s on sale or you think the color will 'do'. Get several paint swatches and bring them home and test against what you truly desire. In fact, many home improvement stores now have sample jars of paint that enable you to actually paint a small portion of your wall to see how that particular color works with your design and color scheme. Go ahead and get several and paint them on the wall. Let them dry and view these colors in a different light; i.e., daylight and artificial light to determine which color really does enhance your room’s furnishings. A color that looks sharp and potent during the daylight hours can lose its vibrancy, appearing weaker in the artificial light, which can leave an entirely different impression than you had anticipated. If you do your home's best homework, you’ll be surprised how dazzling your new look can be; even if it's just a new paint job or a few new stylish pillows tossed onto your plain sofa for that subtle, yet noticeably desirable embellishment. 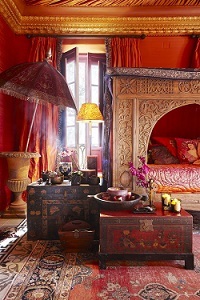 Many of today's color schemes are breaking new ground as far as being considered more accepted by today's standards, and this is a good thing given how most of us like to stay back in the one safety zone of having our entire homes be ensconced with earth tones and all of our décor be safely matching. This can get old and stale, especially if every room in your home stays in this ballpark of comfort. Three rooms like this and it's three strikes you're out! Is it a bigger force of life's LIGHT you need to bring in or only a little DELIGHT? brighten up a drab room with a dash of yellow and let the sun shine in! Taking a risk or two may be just what you need – especially when you are bored with what you have had for many years. Nothing too drastic may be required. Your home may just need a little facelift – a bit of lipstick so to speak! Even throwing a few colored pillows or a multi-colored afghan on to your white bedspread can offer an amazing look and can be a 'life force' of light or just a modicum of a delight! From this one simple change, every other choice is easier to make as you have set up a template to work from, turning the whole room into a statement or even a theme the way a painting can do that adds that special spark to an empty wall. Perhaps one of the most popular looks is still the old fashioned styles of Victorian décor or just a country chic style. Here in our Tri-state area, a few bed and breakasts stand out for their unique and flattering styles. 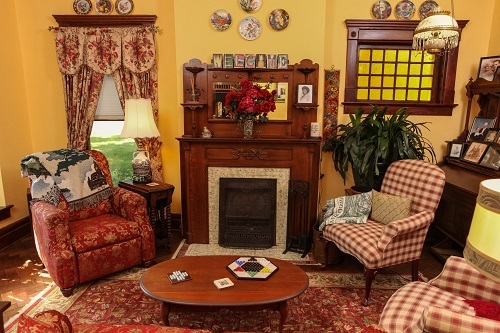 Let's take a look into our first one here in the region – The Country Victorian B&B in Northern Indiana - a place whose owners know how to bring in the light and the delight at the same time. (See photo directly below). Lori goes on to say that they wanted to bring a balanced aesthetic to their lodging facility by letting guests know a sense of home while they are away from their own home. "Our decor here was meant to make people feel comfortable like that of any home but also to enjoy something pleasing to the eye," she says, adding, "people like to enjoy different looks and textures and experience different things while they are on vacation. But when we get too far away from the familiar, it can be too distracting, so having the best of both worlds makes it nice for the traveler." Especially in the guest bedrooms, there is much to feel comforted by with the old wooden plank floors and the rich historical value this house has to offer. "We have enjoyed bringing the modern touches to this old lovely house," says Lori, "and many of our guests have expressed how they appreciate that."